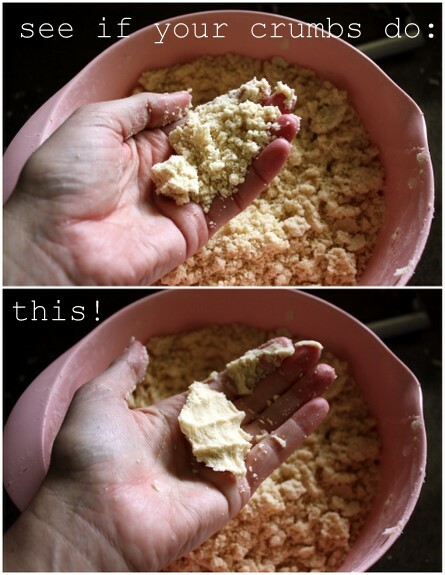 I don’t want you to get all freaked out about making your own pie crust. You can do this. We can totally do this, together. In fact, you’re going to be super surprised at your mad pie skillz after making a crust or two. 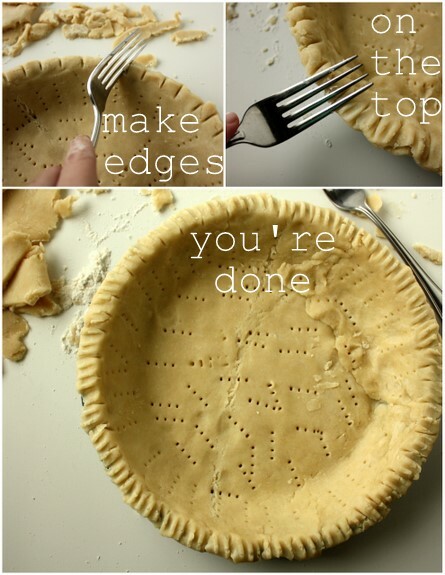 This is seriously the best pie crust you’ll ever make. Flaky, buttery, melt-in-your-mouth. Whip this out as a party trick at any old holiday get-together and you’ll be the talk of the town. Too many clichés in one paragraph? 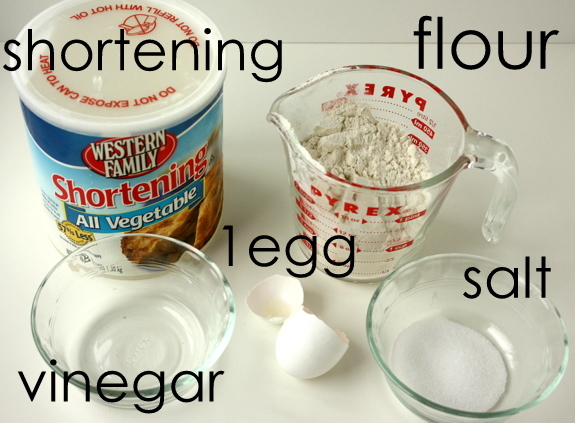 Cut ingredients with pastry blender until coarse. drizzle ice mixture into flour until dough comes together but isn’t sticky or dry. roll out. makes 2 pie crusts or 1 complete pie with a top. I never said I was Martha, but my pies don’t end up looking completely terrible either. Pie! It’s time for pie! Do you ever have trouble with the crust puffing up in weird places? How do you stop that? Anne, I haven’t yet. My tip for that is to press it down into the pan so you don’t have any bubbles, and then really make sure every square inch has been permeated by a fork so it won’t bubble. YES!!! Just when my boyfriend asks for a birthday pie instead of a cake, you come to the rescue with a recipe for a crust! Thank you! I can’t wait to try it! Let me know how it works out. 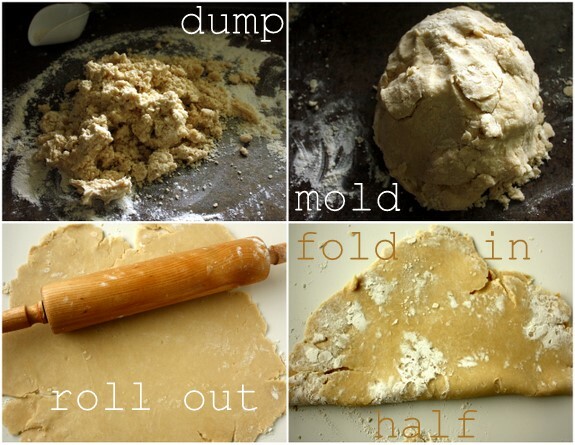 It’s my favorite pie crust recipe. 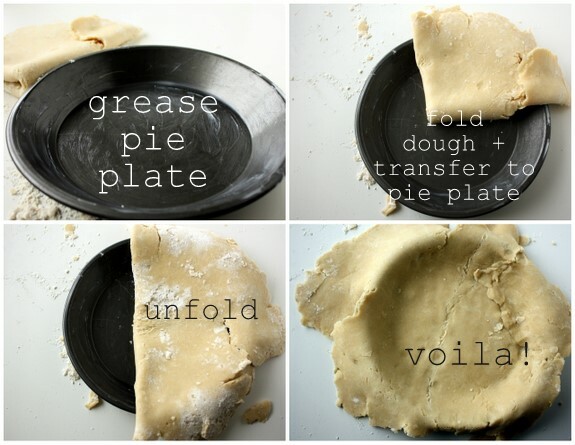 I’ve never ever used egg or vinegar in my pie crusts and they always turn out just fine! My grandma, however, makes them this way and I have to say they tend to be a little bitter and crumbly. So I’m wary about this recipe, but you haven’t lead me astray elsewhere so maybe I’ll have to try this one, too. And for the commenter who was worried about the bubbling crusts: press aluminum foil on top of your pie crust and load dry beans into the shell then bake. Works every time. 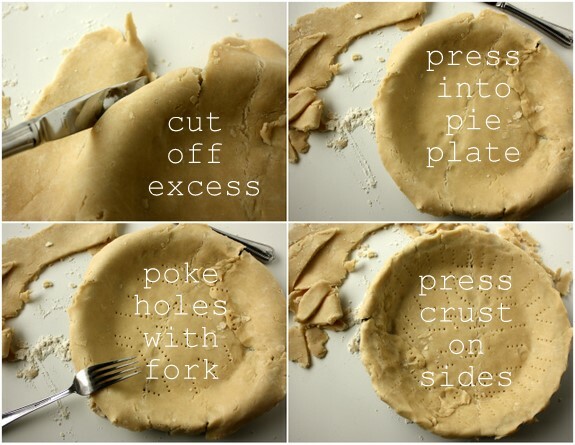 I’m making my Thanksgiving pies with this pie crust right now!! I can’t wait to see how it turns out! Ooh, good luck! Let me know what you think. What the what? 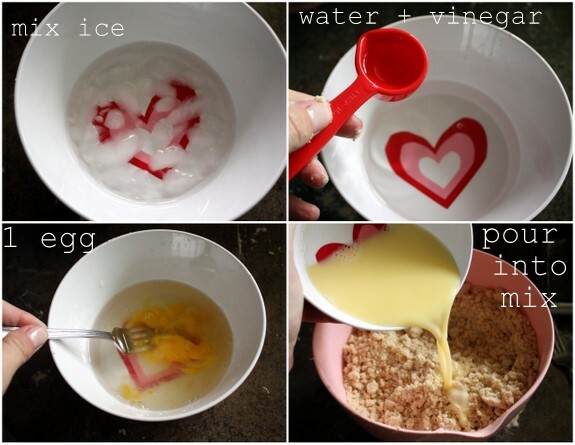 Vinegar? I’m going to have to try this one. Maybe a Christmas pie is on the menu! I think it would be great! 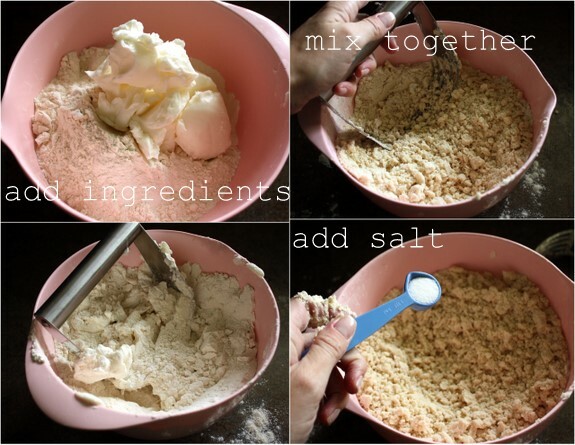 I haven’t tried it in my pie crust but I use it in other baking so try it! Let me know how it turns out!